Envisioned by the hands of Terry Dodson, his rendition of the infamous Harley Quinn comes alive with this statue! From the Red, White, and Black series, this statue features the Clown Princess in mid-air armed with her oversized pistol. 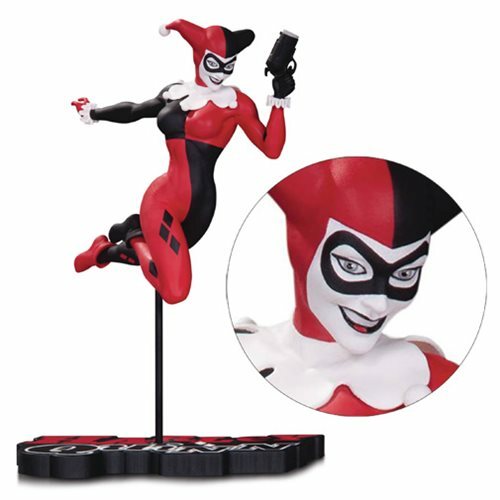 Attached to a themed base, this 7-inch tall DC Comics Harley Quinn by Terry Dodson Red, White, and Black Statue will knock your socks off!